Jive and RingCentral are well known in the industry as being solid VoIP providers with easy-to-use platforms. 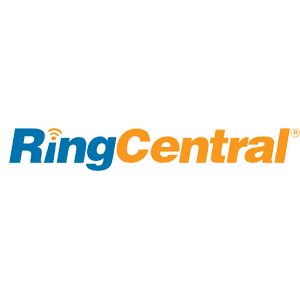 RingCentral is a more high-profile company, unveiling new toys and new plans, while Jive, although they keep a low profile, continues to rack up subscribers, particularly in the public sector, like schools. Today we are going to take a look at how RingCentral and Jive compare for Small and Medium-sized Businesses. Premiu​m: 1 user – $54.99; 2-19 users – $39.99; 20-99 users – $36.99; 99-999 users – $34.99. These are just a few of the dozens of features that nearly every VoIP provider has. In that department, RingCentral and Jive don’t disappoint. RingCentral offers a free mobile app, which is available not only for Android and iOS, but for BlackBerry as well. Jive’s smartphone app, called Jive Mobility, actually has a one-time $20 fee per user. The license can be applied to up to five devices. It’s a little unusual in this market to have a paid app that isn’t an independent service, but some companies do go that route. The Mobility software is compatible with Windows, Android, OSX and iOS, so it is also Jive’s softphone. 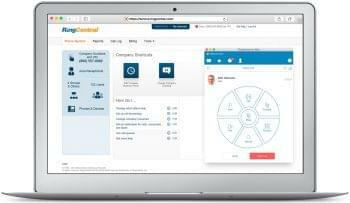 RingCentral simply calls their desktop software “Softphone,” and it is also free to use. Another feature that RingCentral does for free but Jive charges for is number porting. If you want to switch your number with Jive, it will cost $15.00. RingCentral offers call recording for Premium and Enterprise subscribers. The recordings are kept for 90 days, and there is no limit to the file size. Jive call recording is two cents per recorded minute. Jive uses Amazon S3 storage, which gives you 5GB per year free, and you can purchase more if you like. It may sound a little unusual to store recordings in the cloud from the same company that sells you books, but if Amazon S3 is good enough for Netflix and Pinterest, it’s good enough for Jive. Both RingCentral and Jive offer toll-free calling. RingCentral has free minutes, which vary by tier: Standard subscribers get 1,000 minutes, Premium subscribers get 2,500 minutes, and Enterprise subscribers get 10,000 minutes. That said, in order to use those minutes, you must first purchase a toll-free number, which is $4.95/mo. Jive charges 1.9 cents/minute, and you need to purchase an additional number as well. Most subscribers will be charges $1.75/mo for the number, but businesses with 1-4 subscribers have to pay $5/mo. Speaking of numbers, one of the great features of VoIP is that you can have additional numbers that route to your phone, with any area code. This service, called a virtual number, will both cost you five dollars per month on either carrier, but Jive gives you your first virtual number for free. One of the biggest obstacles to VoIP adoption is the cost of IP phones. 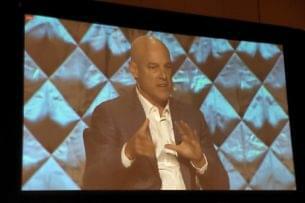 Both RingCentral and Jive have options to lower the capital investment. In RingCentral’s case, you can rent a phone monthly, and with Jive, if a company with 25 users is willing to lock in a three-year contract, they get a steep discount on the phones, and the most basic phone is free after the discount. One of the ways that Jive stands out is that they still have legacy support for fax machines. To be fair, you do have to purchase a fax adapter, which is billed as a separate user. RingCentral and Jive both offer very similar paperless fax services that can be accessed and configured on your computer or mobile device. RingCentral includes their fax service, which is available separately, as part of their Office packages. RingCentral’s biggest feature is the video conference software. Available only to Enterprise subscribers, RingCentral subscribers can video conference with 24 other participants on an Android or iOS device. Jive, unfortunately, does not offer a similar service, at least not yet. But, on the other hand, Jive offers one thing that RingCentral does not: A service level agreement. Jive guarantees that you will have 99.99% uptime, or you will get part of your bill refunded. While RingCentral may be willing to give a subscriber a refund for the service being down, they are under no obligation to do so, nor do they outline ahead of time what money they’d be willing to refund. RingCentral offers 24-7 support for office subscribers with two or more users. Smaller accounts, including RingCentral Professional and RingCentral Fax have access from 5am to 6pm Eastern Time, from their headquarters in California. Jive offers 24/7 support from their headquarters in Utah. The difference between RingCentral and Jive is reflective of the direction they nudge their target audience. Any industry can benefit from VoIP, so the differences are slight. RingCentral is after the SMB market, which is crowded with many competitors, so each one has to be a little louder or a little shinier to stand out. RingCentral meets that challenge with features like their Enterprise conferencing system. Jive is, as the name suggests, cool and collected. 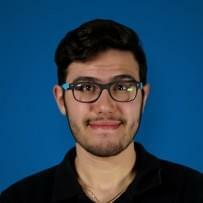 Jive puts a little more emphasis on things like Government and Education, which plan budgets years in advance. Jive wants a little more commitment from you. For example, it will take a three year contract, not just one or two, to get those free phones, and it may sting a little to pay for an app or number porting. But once you are committed, you get a service which is guaranteed by an SLA to be reliable and trouble-free. So one question to ask yourself when you choose between the two of them is, will there be some new feature, some new hardware, or some change in price that will make me want to switch providers in a year or two? If there is, RingCentral is a better choice. If not, either provider is a good choice. RingCentral has SLA now too, for anyone reading this (99.999%). I think both have fully redundant, multiple servers, which should minimize downtime since they can merely switch you to a new server. (e.g. you miss a single call and are back up).